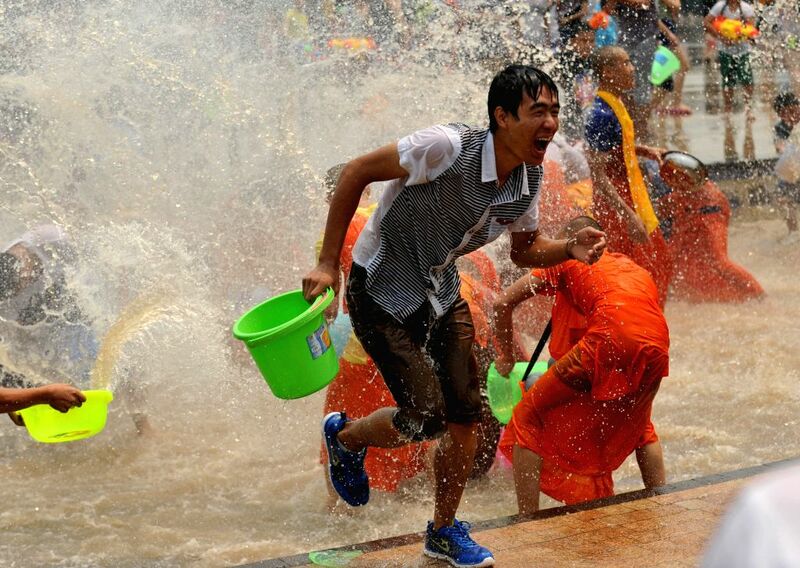 XISHUANGBANNA, April 15, 2014 - Locals and tourists have fun with water during the Water-splashing Festival in Jinghong City of Dai Autonomous Prefecture of Xishuangbanna, southwest China's Yunnan Province, April 15, 2014. People splash water to each other to express best regards on Tuesday, the last day of the 2014 Water-splashing Festival and the 1376 New Year of the Dai ethnic group. 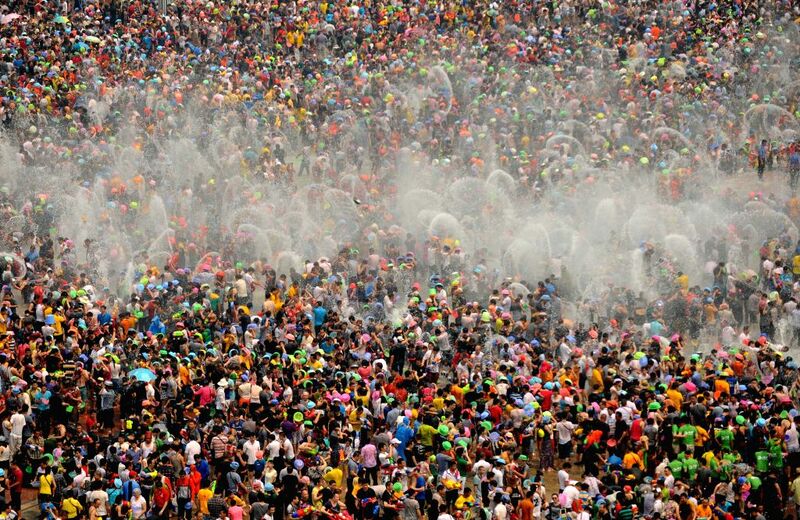 Tens of thousands of locals and tourists have fun with water during the Water-splashing Festival in Jinghong City of Dai Autonomous Prefecture of Xishuangbanna, southwest China's Yunnan Province, April 15, 2014. 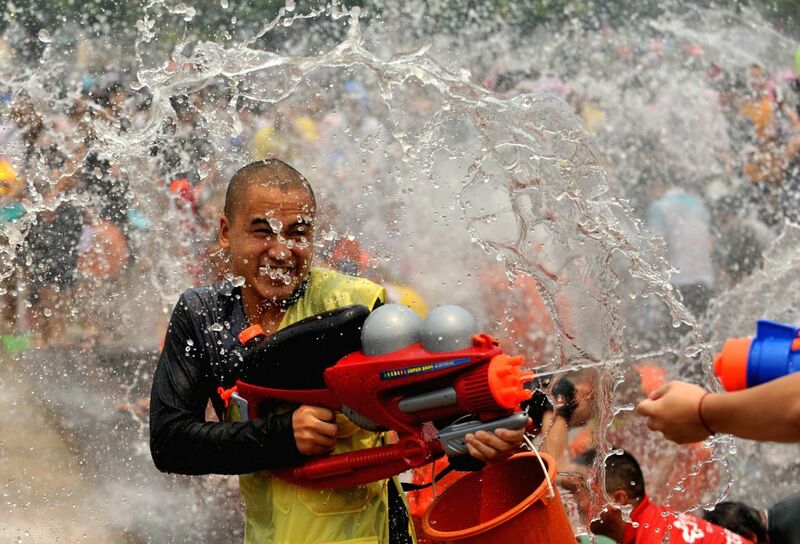 People have fun with water during the Water-splashing Festival in Jinghong City of Dai Autonomous Prefecture of Xishuangbanna, southwest China's Yunnan Province, April 15, 2014. 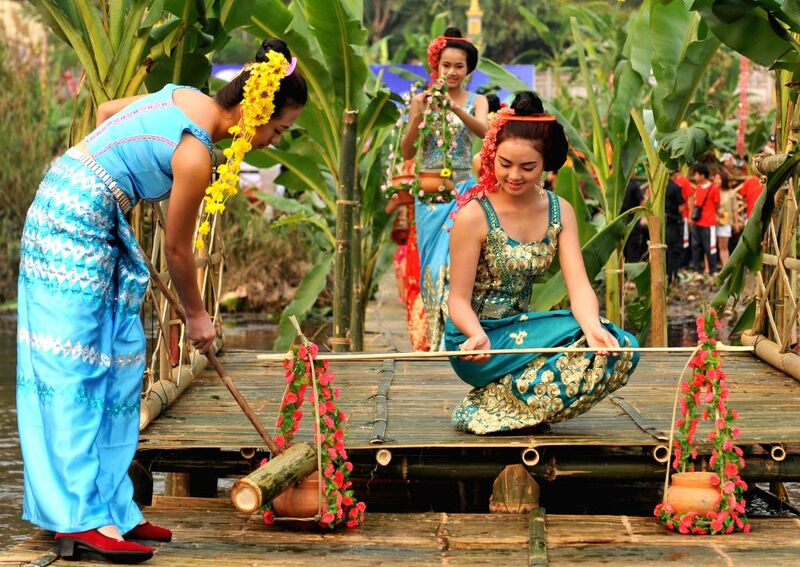 Girls of the Dai ethnic group fetch water during the Water-splashing Festival in Jinghong City of Dai Autonomous Prefecture of Xishuangbanna, southwest China's Yunnan Province, April 15, 2014.